The volume of goods shipped through Sabetta increased by more than 130 percent while Murmansk had its best year ever in the post-Soviet period. The volumes of goods shipped through parts across the Russian Arctic were up almost 25 percent in 2018, according to information from the Russian Transport Ministry. A total of 92.7 million tons was handled by regional seaports, of which almost 70 percent was oil products and liquified natural gas. By far the biggest growth is found in Sabetta, the port handling liquified natural gas produced by Novatek in the grand Yamal LNG project. The port located on the northeastern tip of Yamal Peninsula in 2018 handled a total of 17.4 million tons of goods, an increase of 130 percent from 2017. Other key seaports in the Russian north are also experiencing significant growth. 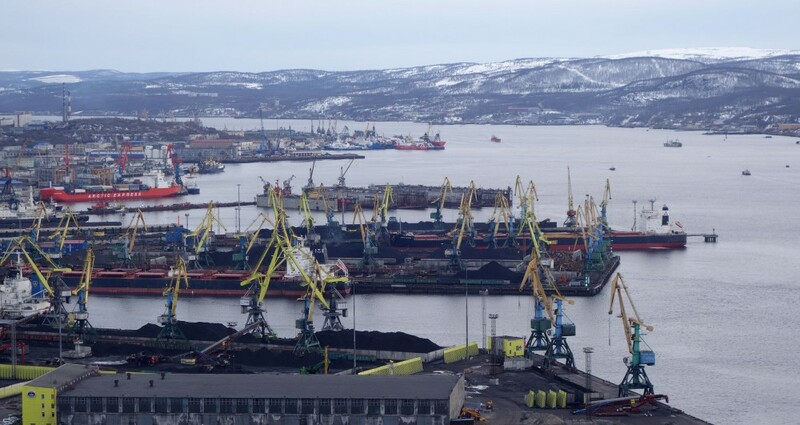 Port installations in Murmansk in 2018 handled a total of 60.7 million tons, which is 18.1 percent more than the previous year. Never before in the post-Soviet period has Murmansk had such high shipping volumes. The previous high was set in 2010 when 56.6 million tons was handled. Several companies are involved in terminal activities in Murmansk, among them the Murmansk Commercial Seaport. In 2018, the company handled 16.25 million tons, which is a 3.5 percent increase from 2017, port General Director Aleksandr Masko said in a recent press conference. Coal makes of the lion’s share of goods shipped out from Murmansk, followed by iron, nickel and apatite concentrates, as well as construction materials and several other kinds of goods. The biggest growth in local shipping is oil and gas, much of which is reloaded in ship-to-ship operations. The port of Arkhangelsk also experienced significant growth in 2018. Goods volumes amounted to 2.8 million tons, an increase of 15.5 percent compared with 2017. Not all regional ports saw growth in 2018. Lukoil’s Varandey terminal, the installation located on the coast of the Pechora Sea, had a decline in volumes by as much as 15.3 percent, Infranews reports. The terminal in 2018 handled a total of 7 million tons of oil.